Vanaire is a premier air pollution control and ventilation system manufacturer, a designer of top-tier air air pollution control systems. We build our ventilation equipment from corrosion-resistant components, from corrosion resistant materials such as PVC, CPVC, PVDF, Fiberglass and Polypropylene. Furthermore, for more than 20 years now, our company has been working closely with enterprises from across North America and beyond, so every industrial ventilation system we design is certain to offer the right features for the air pollution scrubbing job at hand. Our business model promises an end-to-end industrial ventilation solution that’s loaded with features. 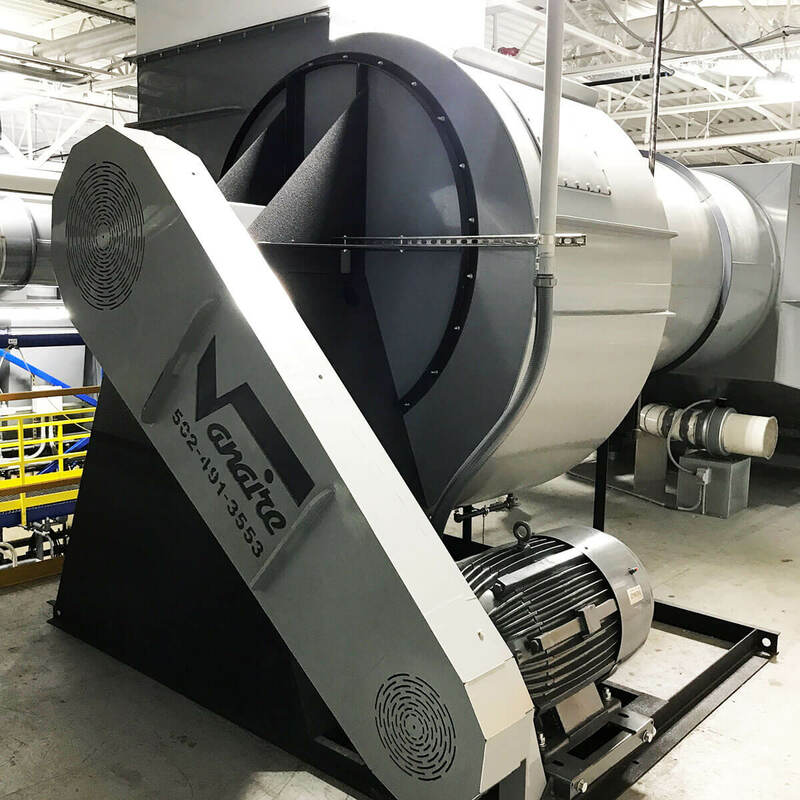 Each customized system is classed as a superior air scrubbing equipment because of the advanced ventilation technologies built within the rust-resistant housings, then those advanced mechanical features are further strengthened by our reputation for reliability, commitment, and engineering expertise. For example, the degree of commitment delivered by our engineering team exists to consistently produce a quality-assured end system solution, an air scrubbing system that absolutely assures a healthy environment will prosper within even the toughest factory environment. High standards and clean air are our goals. Our company, therefore, prizes health-centric compliance requirements above all other considerations. In order to achieve these lofty goals, our company uses polypropylene, solid fiberglass, dual laminates, PVC, CPVC, Polypropylene and other corrosion-resistant materials to reinforce Vanaire’s manufacturing ethic, one that marries function to health. In brief, we use extraordinary measures to realize our air contamination removal strategies, and we know that it takes fresh ideas and innovative concepts to properly achieve those goals. By applying Vanaire Air Pollution Control technology to the environmental challenges that are corrupting the work conditions within and outside your manufacturing facility, you get the best protection for your workplace personnel and the environment.